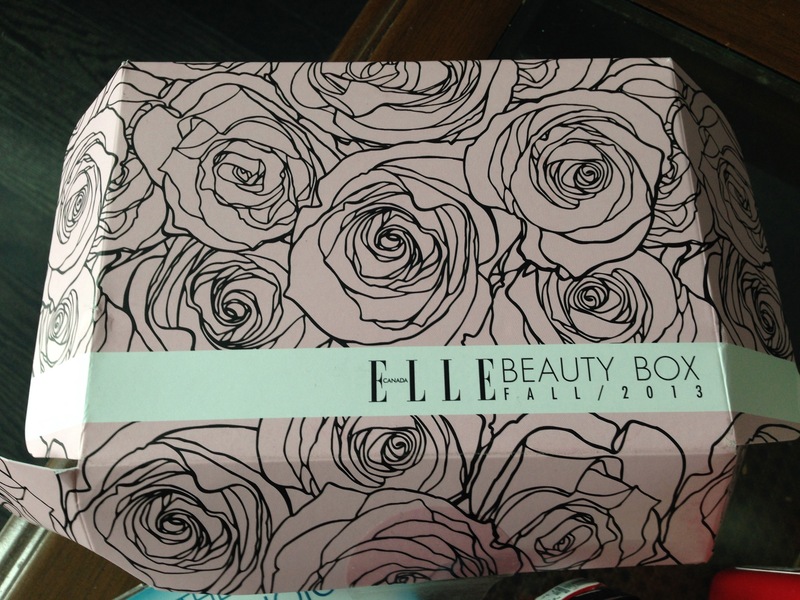 Inside was Cover Girl’s Clump Crusher mascara and Outlast nail polish in Sangria, Travel sizes of Vidal Sassoon’s Pro Series Repair Shampoo and Conditioner, a sample of crest 3D white strips and coupons for Gillette Venus coupons. Also inside is a look book that outlines some make-up style “how to’s”. I’m haven’t been a fan out Cover Girl mascara – which to be fair is probably a left over feeling for when I used their waterproof mascara when I was 11 and my eyelashes started to fall out. To date I don’t wear waterproof mascara – EVER – but it’s fair to say it’s probably nothing to do with Cover Girl..so I tried this one out (first Cover Girl Mascara in a decade). I’m pretty hard on my hands/nails so the claim that it lasts a week – especially without a topcoat- didn’t quite stand up for me. But probably for NORMAL people they’d get 4-6 days out of the polish. It goes on nice, dries as normal polish does, but is quite glossy. All in all it’s a good nail polish. My hair is super short now, so I can’t say much about these because all the damaged parts of my hair where chopped off. I can say that I like the scent and that it’s a really good shampoo and conditioner combo. I’m taking these travel sizes with me to Seattle when I go in November. I love the white strips. I have decent teeth so I can’t justify getting professional whitening at the dentist. I do however love my red wine and coffee, so that does take a toll on my pearly whites. Crest 3D white strips are great for touching up your teeth’s colour on a regular basis, and delaying the expense trip to the dentist. I like the Venus Spa Breeze because it’s a 1 step approach to a close shave. I haven’t tried the Venus & Olay cartridge but from what I have been told it’s as great as the breeze, but much more moisturizing – which will make is great for the winter months that are creeping in now. 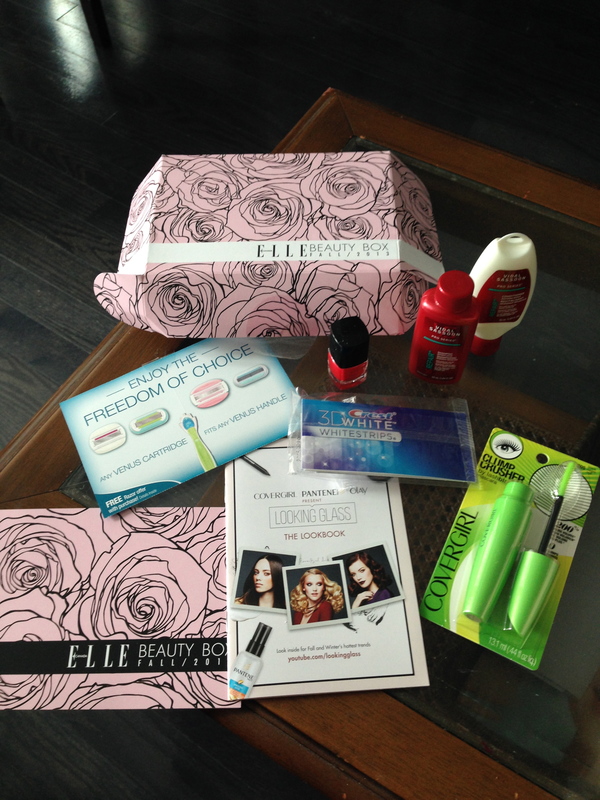 This entry was posted in Beauty and tagged Beauty Box, conditioner, cover girl, Crest, Elle Canada, Gillet, Mascara, nail polish, Outlast, Razer, Shampoo, Venus, Vidal Sassoon, White strips by maldham. Bookmark the permalink.